H Cafe is a family run business with a passion to succeed in bringing you a friendly, relaxed atmophere where everyone is welcome. As the most bike friendly eatery in Oxfordshire and Berkshire, we look forward to welcoming more bikers to H Cafe circle of friends in glorious summers to come. Here is a snapshot of the family philosophy. Celia Allen - I have been?a chef for the 32 years, and have a passion for cooking. I love to see people enjoying our food and the friendly atmosphere of a family run business. John Allen - I've been a biker for the last 40 years, and am very glad that we have the H Cafe. I especially love Monday bike nights and am looking forward to all the rideouts and events we're planning for the coming year. 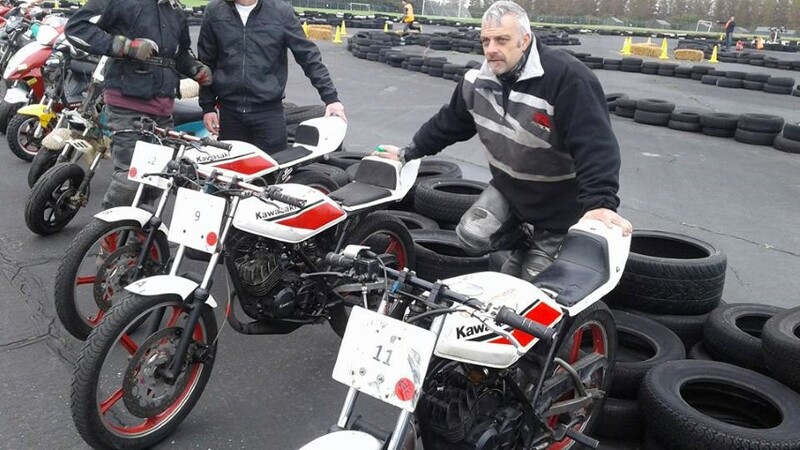 Karl Allen - I have been riding motorcycles since I was a young lad, with a passion for racing. I am also looking forward to the events we are planning, eagerly anticipating the outcome of each and every one of them.